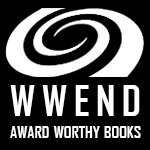 The WWEnd Award Worthy Books list is a list of books published in the year that our members have read and tagged as "award worthy" for your consideration for next year's awards season. The list is divided into 3 genre categories for Science Fiction, Fantasy, and Horror. Our members determine what books go on the list by adding up to 5 books to their own personal award worthy lists on their My World page. Those books also end up on the main list here. This list will grow and change as the year goes on and more books are published, read and tagged by our members. Each member's list will fluctuate too as they remove previous books to make room for books they like better later in the year and those changes will affect the main list. The list is sorted by the total number of votes the book has received with a secondary alpha by title sort. A full description and instructions for participation can be found by clicking the "Details" tab below. What is the WWEnd Award Worthy Books list about? Here at WWEnd, we cover a lot of genre awards. More than just showing everyone what books won awards in the past, we wanted our members to recommend new books that they think are worthy of your consideration for next year's awards. Members create their own rec lists then we combine those individual recs into a single list that becomes our WWEnd Award Worthy Books list for the year! Every WWEnder has their own personal award worthy lists for Science Fiction, Fantasy, and Horror books written in the year. Those lists are visible within the member's My World pages for all to see. These lists help our members keep track of their favorite new books as the year progresses. If you read a great new SF book early in the year, you may not remember that book when it comes time to cast your ballots a year later. With this list you flag that book when it's fresh on your mind, and as you read more new books, you fill up your 5 allowed slots. If you read a sixth great SF book, you'll have to decide if it's good enough to unseat one of your earlier picks. If you read a lot of new books, your list will change many times over the course of the year, and may be a completely different list than your original 5 picks. Your first 5 picks will be easy. You read a good book early on and it will go on your list. Simple. Your list will essentially be a "Here's what I've read so far this year that's good" list. When you get past your fifth pick, you'll have some hard decisions to make and those decisions will only get harder the further into the year we get. By the end of the year, you'll have a "Here are the best books I've read this year" list that you have refined for months - just in time for awards season. As members add new books to their personal award worthy lists, we take those listed books across all members and build our Award Worthy Books list. The list will start out small as there are fewer available new books, and people will need time to read them. The Award Worthy Books list will be constantly in flux with books coming and going all the time, and will be a fun index of what's trending in genre fiction. When a hot new book comes out like Andy Weir's The Martian, you'll see it pop up on the bottom of the list and climb up to the top within weeks. You may have noticed that we only say "Award Worthy Books" not "Hugo Award Worthy" or "Clarke Award Worthy" or "Red Tentacle Award Worthy" etc. The reason is that we want to focus our lists on the best books published in the year regardless of whatever eligibility requirements are imposed by any specific award. Plain and simple, these are the books the WWEnd community has determined over the course of the year to be worthy of recognition. Whether they fit into any specific award is beside the point, and will be left to the individual to discover for themselves. While there are many categories across the awards we cover here on WWEnd, the only category we are concerned with for the Award Worthy Books lists is novels -- no anthologies, collections, or short fiction etc. at this time. Perhaps down the line we might include these, but for now we're focused on novels. Of course we're talking about SF, Fantasy, and Horror novels and that can include first novel awards or young adult novels etc. depending on the book in question. If you like our list and want to help make it better, then join WWEnd and make your own personal picks! After that, help us spread the word. Tell your friends and family, your reading group, and that guy at Starbucks with the WorldCon T-shirt about us. Post about us on your blog or share us with any blogs you think will help us spread the word. And of course use your social media outlets to draw in your followers.